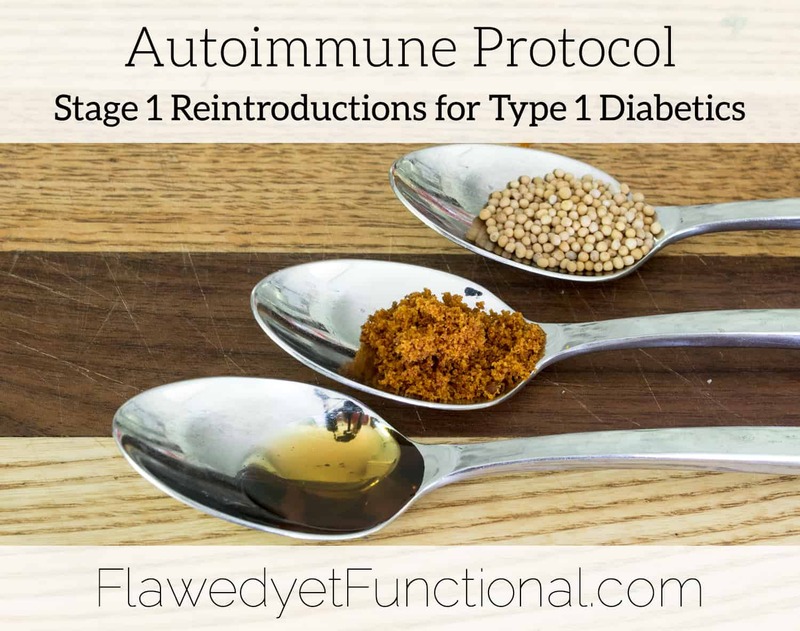 After the egg yolk debacle that threw off my Type 1 diabetes game for 3 full weeks, I was hesitant to try to reintroduce any more food. While I did really want the freedom of a more varied diet, the thought of a stressful 3 weeks of recovery due to a few small bites was a very nerve wracking thought. After working up the guts to test wine (and succeeding! ), I decided to tackle a few fruit and seed spices and seed oils. The objects up for testing today are mace, mustard seed, sesame oil, and green beans. The four stages of reintroductions are in the graphic below. All of the ones I’m discussing today are all in Stage 1. Mace is a fruit-based spice used in bratwurst. Fun fact: mace is the most distinguishing flavor in a brat. It’s not a brat without mace! Mustard seed is, wait for it, a seed spice! Sesame oil is a seed oil, and green beans are a legume with an edible pod. I followed all of these steps, except #1 which I forgot sometimes. So reintroducing these four items took some time. I’ll give you the good news up front: all of these were successful! Whew! 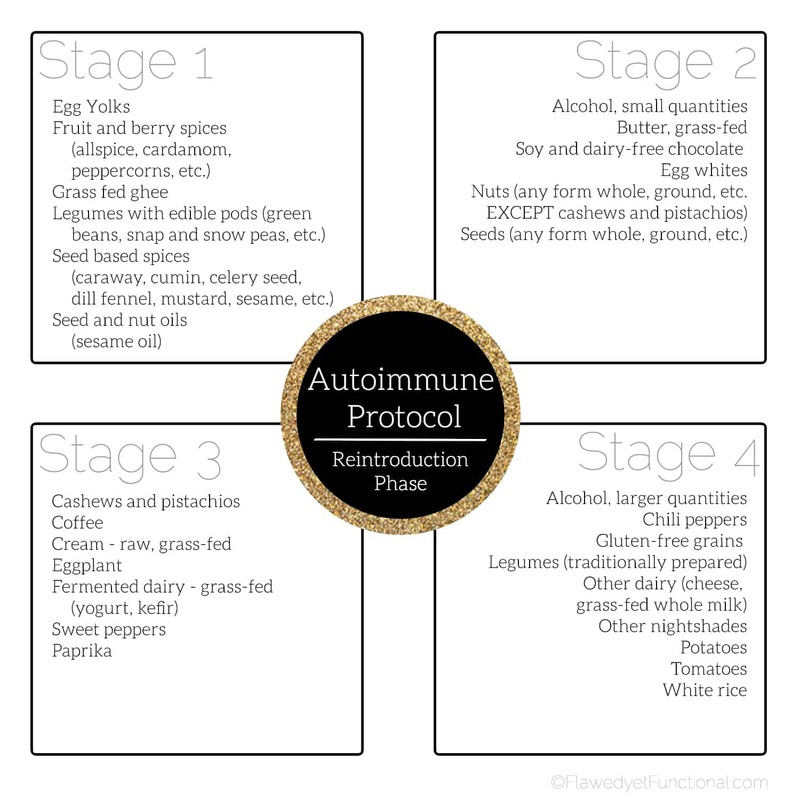 For any other Type 1 Diabetics out there wondering how I evaluate a successful reintroduction on the Autoimmune Protocol, below are my stats after eating these foods. If this is too much info for you non-diabetics, you can stop reading now! Below is a reminder of my blood sugar goals which will help you evaluate if a food is a successful re-addition to your diet or not. These two spices were reintroduced together because they are both in the bratwurst recipe my husband and I made. Testing two spices at the same time is not recommended. If it had failed, I would still need to retest one at a time to figure out which one or both was affecting my gut! Lucky for me, they both passed with flying colors. Win, win, win! Meat grinding and sausage stuffing is a newfound hobby of ours, so this victory is so exciting! No need to stop making brats at our house! With Korean blood running through our family, Asian food is near and dear to our hearts. 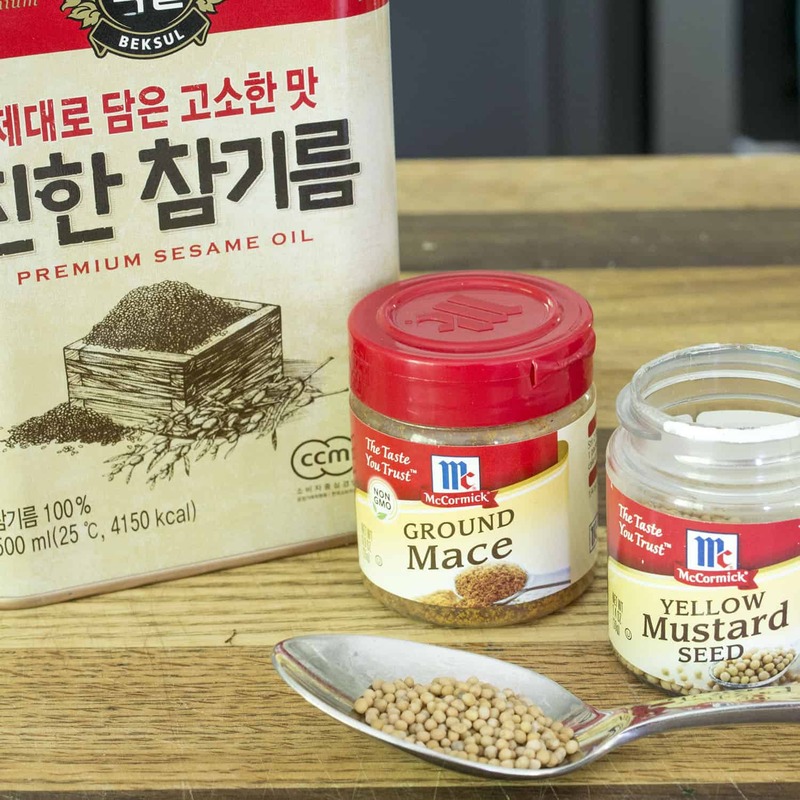 Many Korean dishes we make are just flat without sesame oil. For that reason, I chose sesame oil as the next challenge. A fasting blood sugar of high 140’s is still a success in my book. My blood sugar had been in the 140’s all this week, so 149 was right in line with where I was that week. Another win that will make my food even more delicious! The final reintroduction today is green beans. Prior to the Autoimmune Protocol, I would buy huge bags of frozen, organic green beans from Costco. For me, it’s an easy, quick second vegetable to add to our dinner, and bonus, cooks on the stovetop versus the oven. Many meals look like this for us: meat and starchy vegetable roasts in the oven and green beans in a sauce pan on the stove. I have a much greater chance of finishing all the dishes at the same time when items are spread out between oven and stove. Meal: Green beans were drizzled with olive oil, salt, and pepper, and served as a side dish to baked chicken chimichurri and acorn squash for dinner. What a relief to have some successes under my belt! Mace, mustard seed, sesame oil, and even green beans are not a part of my daily diet, but rather 1-2 times a week at this point. I’ve tried all of these multiple times, and I continue to have good blood sugar readings. So I’m confident that these four are a permanent re-addition to my diet! What have you been winning at in your life lately? Food? Diet? Exercise? Reading? Feeding your dog??? Any win, do share; encourage us!